Availability of an inadequate ecosystem — spectrum and handsets – along with the financial burden on Indian telecom operators will prove to be the major challenges to adoption of 5G technology in the country, an ETTelecom 5G survey findings revealed. A large portion of respondents believes that India will be ready to launch the technology commercially before 2022. However, 50% of the respondents who work at a telecom equipment vendor firms such as Nokia, Ericsson believe that 5G will be deployed during 2020. About 80% executives from the industry further hold the view that 5G could account for more than 10% of operator revenues by 2023. A large proportion of the respondents believe that an inadequate ecosystem in terms of spectrum and handsets (69%) and the financial burden on MNOs (68%) are the major challenges to 5G adoption in India. Moreover, 89% of the respondents working at C-level roles believe the financial burden on telcos be a major challenge. Some respondents mentioned that lack of fiber for backhaul, and passive infrastructure such as towers and optical fiber cable will be some major challenges for telcos in India. ETTelecom published a report on 5G evolution and roadmap in India in collaboration with Analysys Mason which showed that smart cities (70%) and high-speed broadband at home (69%) are the most relevant use cases of 5G in India. Respondents working at telecom equipment vendors believed high-speed broadband at home to be the most relevant use case with 85% responding positively. Smart cities are the most relevant use case according to respondents currently working at telcos such as Airtel, Vodafone, Idea, Reliance Jio etc. with 78% mentioning it as a relevant use case. The respondents also believe that smart manufacturing, smart home and cloud, AR/VR are also relevant to the Indian market. Media and Entertainment driven by higher throughput on mobile broadband is believed to be the industry that will benefit the most from 5G and drive adoption with a large majority of the respondents (83%) believing so. Healthcare (64%) and automotive (60%) are other industries which the respondents feel will benefit from 5G and drive its adoption. 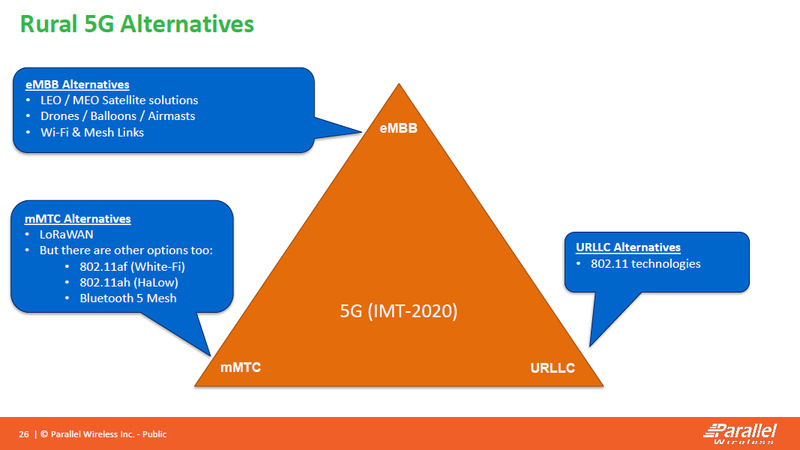 When it comes to industry’s expectations on the key spectrum bands for 5G, there is a mixed sentiment with no clear spectrum band getting more than 50% positive response. However, 67% of the respondents working at C-level positions expect the sub-1GHz band to be the preferred for 5G deployment. 68% of the respondents feel that fibre backhaul is the most important technology, which could be crucial towards deployment of 5G. Ultra-dense network of small cells (50%) and massive MIMO (48%) are other technologies that respondents believe could be crucial. Also, 82% of the respondents working with Indian telcos believe fibre backhaul to be a crucial technology and 85% of those working at telecom equipment vendors believe the same. 53% of the respondents suggested that legacy technologies such as 2G and 3G could still co-exist with 4G and 5G by 2025, while 40% believe they will be replaced. However, 67% of the C-level respondents believe legacy technologies will be replaced and, on the other hand several users also point out that while 3G will be replaced, 2G will continue to co-exist. A clear majority with 73% responses suggested that the initial rollout of 5G would be limited to urban pockets. Additionally, 59% of the respondents believe that 5G could cannibalize fixed broadband in India if it can offer high-speed broadband. What about rural 5G which is needed in India? For more insights, download ETTelecom-Analysys Mason’s 5G readiness in India report. “Even if you only have 1% of your subscriber’s base taking the service in India that’s still 3 to 4 million people and in Europe, that’s a 100% of your subscriber base in any country. So, there is a huge opportunity and then an unserved market opportunity,” Phil Twist, Vice President of Networks Marketing and Communications at Nokia, told ET. The executive said that fixed wireless access could prove to be a significant 5G use case for providing broadband coverage in rural parts of the country. “It will all depend upon if the government wants to support and make spectrum available, besides telcos making plans to invest in these types of new market opportunity,” he added. The Indian government expects to complete processes for 5G spectrum auction by August and the services will be rolled out by 2020.